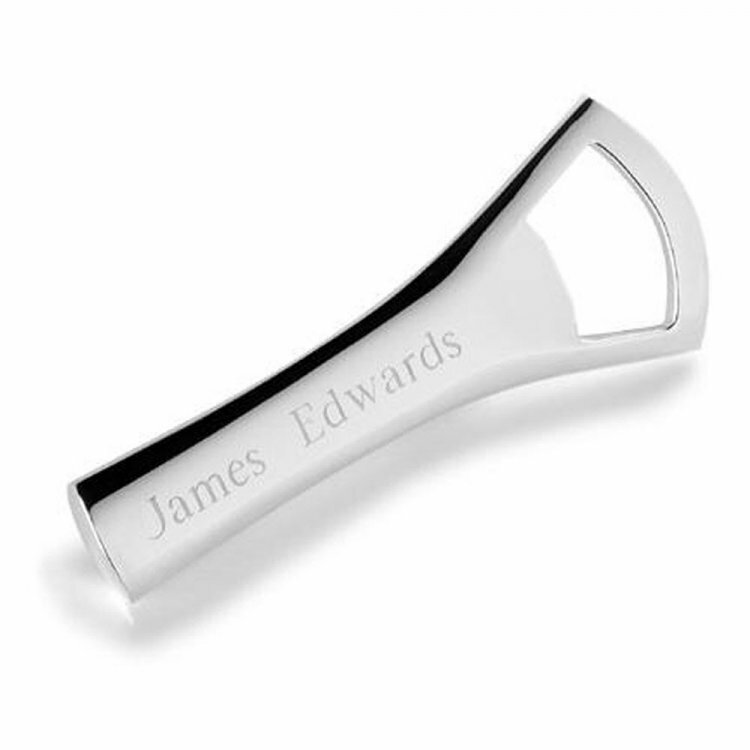 With classic style this Monogrammed Silver Plated Bottle Opener becomes a unique addition to any home bar set when you personalize it to the barkeep! Personalized with two lines of up to 20 characters per line. Size: 4 7/8" x 1". Price: $34.00 In stock! - Browse this brand: JDS MarketingOur products are custom made to your specifications. This product ships up to 2 weeks after your order is placed.